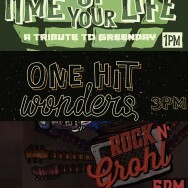 School of Rock is again presenting another great show on Sunday Dec 3rd at Gate 1 Theatre in Claremont! The venue for the ‘School of Rock – Tribute. Greenday, One Hit Wonders and Rock n’ Grohl’ has been changed from the Gate 1 Theatre to the Jim Webster pavilion. This is located approximately 100m West of the Gate 1 Theatre near the Red Rooster. There is parking available near this pavilion. The event is still set to start at 1pm so patrons are urged to check in with their tickets to receive their armbands after 12pm. Please ensure you have your tickets ready on your phone or printed out so we can expedite your entry in the venue. Click here for a google map of the new venue. 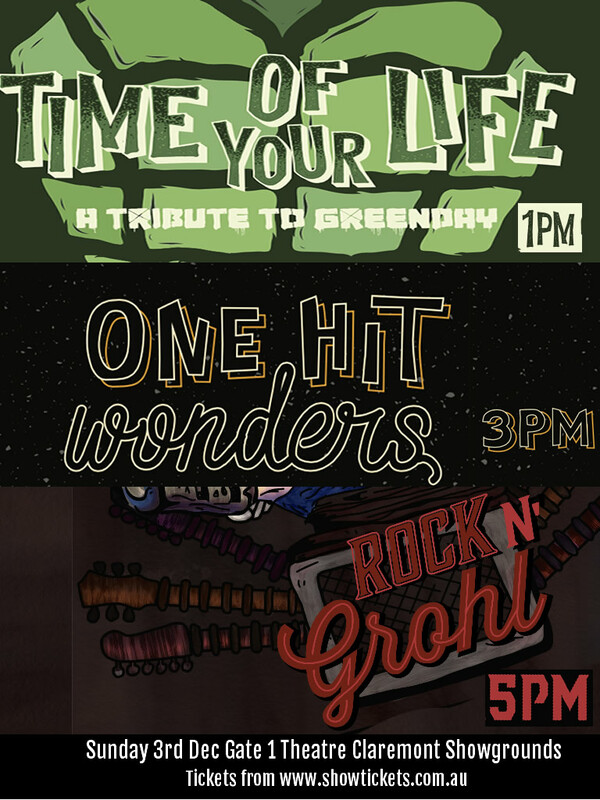 Three great tribute shows for one ticket price! American Idiot, Bastketcase and Longview. Just 3 of Greenday’s greatest hits. School of Rock Perth will be performing these plus many more of their hits live on stage. Secure your tickets now and get ready to have “THE TIME OF YOUR LIFE”. We all love a One Hit Wonder song. From Devo, to Dexies Midnight Runners, School of Rock Perth kids are gearing up to deliver a powerful live performance of all time classic One Hit Wonders. This will be fun. Nirvana, Foo Fighters, Queens of the Stone Age and Them Crooked Vultures. Dave Grohl has had a massive impact on the Rock n’ Roll industry and is still delivering powerful, energetic live performances all around the world. Come and see School of Rock Perth perform a tribute to this inspirational Rock Star.